On April 2, 2013, an informal working group of twenty-five (including four Esri staffers) participated in a 1.5-hour webinar to discuss the development of a new, improved version of the Arc Marine Data Model (also known as the “Marine Data Model”). This is an action item following on from the Esri Oceans Summit in November 2012, where great interest was shown in updating and thus improving the model. 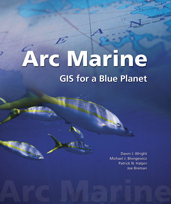 The Arc Marine data model was first widely released and published in a research monograph by Esri Press in 2007. Despite the age of the model, its utility is still recognized and adoption of it appears to be ongoing, with several organizations seeking to standardize on it, particularly in Europe. Given the apparent demand for the model in the ocean community, Esri is going to fully support the model as a community-based information model/template. To this end, I have assigned my ocean GIS product engineer, Shaun Walbridge, to learn the structure of the old 2007 model and to bring the Unified Modeling Language (UML)code up to compliance as appropriate, so that it works with our latest Esri technologies (chief among them ArcGIS for Desktop 10.1, and implementation in a file geodatabase rather than just a personal geodatabase). We are initially looking at updating the UML, realizing at the same time that there are now a variety of standards efforts for communities, data formats, metadata, etc. We want to consider how to leverage existing or emerging standards efforts. One issue is going to be that the physical data structure need not be constrained by any one category. For example, it is now common for people to use netCDF as a container not only for gridded model data, but also for time series points and trajectories. And our software can do it either way. Revisting the current data model (“where we left off”). Addressing the issue of Arc Marine being too generic – focusing the model on more specific application areas such as fisheries, marine ecology, estuaries, human dimensions. Development of a data input tool for Arc Marine. Consideration of multidimensional data, e.g., OGC CF netCDF, and improved loading of bathymetry and LiDAR data. interoperability of Arc Marine with Coastal and Marine Ecological Classification Standard or CMECS, and other standards such as INSPIRE and ISO 19156. Leveraging a possible CMECS ArcGIS toolbox, as an Arc Marine toolbox. Possible linkages of Arc Marine with Arc Hydro, Arc Hydro Groundwater, Seabed Survey Data Model and other data models. Best practices to define a web service platform for the model (including OGC WFS and WCS). In the coming year and beyond AGOL and other web based data and analysis services will be an even bigger part of everyone’s day to day geospatial work. Working well with existing and emerging web services will be crucial to the success and growth of the new data model. Making the model open source (with a presence on GitHub) and leverage Esri’s growing library of open source work. Validating of the updated model against new use cases and cartographic requirements. Development of a new tutorial to incorporate a broader range of ocean datasets from different regions of the world and possible workflows. Improving the documentation (Arc Marine, 2nd edition book) as we go along, hopefully in a collaborative online framework as suggested by Shaun (and which is seeking to set up). Reconvening this working group for further discussions at Monterey Bay GIS User Group Meeting, the Esri UC SIG, perhaps another webinar (with audio conference call instead of VoIP), and the Esri Ocean GIS Conference, November 5-7 in Redlands. The slides presented by Dawn, the detailed notes as recorded by Shaun, and a transcript of the chat session are available in this 20-Mb zip file. Thanks to Steve Kopp, who contributed to this post. 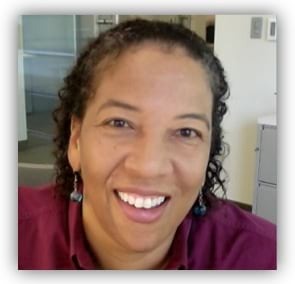 Dawn Wright joined Esri as Chief Scientist in October 2011 and is responsible for strengthening the scientific foundation for Esri software and services, while representing Esri to the national and international scientific community. She is also professor of geography and oceanography at Oregon State University, and has participated in several initiatives around the world over the past 20 years to map, analyze, and preserve ocean terrains and ecosystems. Besides GIS, Dawn is very much into road cycling, apricot green tea gummy bears, 18th-century pirates, her puppy Riley, and SpongeBob Squarepants.